U.S. 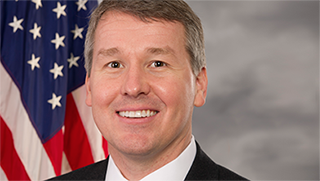 Congressman Rob Woodall represents the 7th Congressional District of Georgia, which includes significant portions of both Forsyth and Gwinnett counties. He currently serves as Chairman of the Rules Subcommittee on Legislative & Budget Process, is on the Transportation & Infrastructure Committee, as well as serving on the Budget Committee. He is a former Chairman of the Republican Study Committee (RSC), and is the sponsor of the FairTax (H.R. 25).